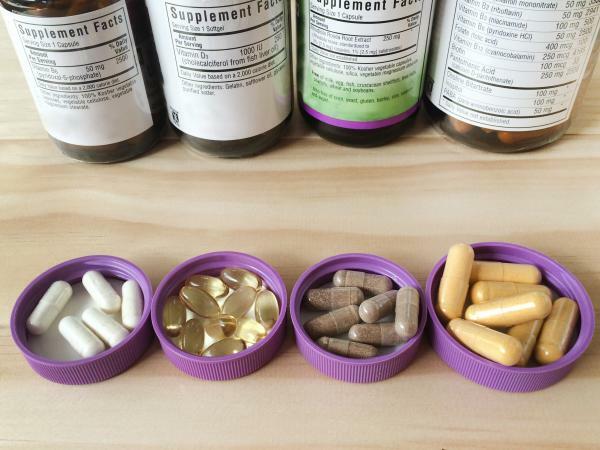 It seems today that everyone takes some kind of supplement or vitamin. Most healthy people receive adequate nutrition from diet alone and could be taking unnecessary vitamins or even over supplementing. However, different approaches exist when supplementing vitamins; people may take many individual vitamins or a single multivitamin depending on their preference and needs. Healthy individuals can typically receive all of their necessary vitamins and minerals from a nutritious, well-rounded diet. However, for people who may not get all of their nutrition from food or have decreased absorptive abilities, multivitamins are one method to take a vitamin. Easy - A multivitamin is one concentrated pill with many vitamins and minerals. Taking a single vitamin is simpler than popping multiple vitamins. Additionally, if you are already taking other medications, a single pill or gummy may be more appealing than multiple vitamins. Cheaper - It can be cheaper to buy one good quality multivitamin than a dozen individual good quality vitamins. For example, a top quality supplement company, known as Thorne Research, prices one bottle of multivitamins around $46. This multivitamin contains vitamins A, D, C, E, K, and a few B vitamins. In comparison, purchasing each of those vitamins individually from Thorne Research would cost over $100. Good coverage - Commonplace multivitamins usually contain 10 to 20 different vitamins and minerals. These typically include vitamin A, C, D, E, K, B vitamins, folic acid, pantothenic acid, calcium, magnesium, zinc, and biotin. Most multivitamins ensure you receive a good overall coverage of nutrients without extreme dosages. As easy and affordable as multivitamins can be, some drawbacks to exist making a multivitamin not ideal for everyone. Vitamin deficiency - Multivitamins are not the best choice to address an individual vitamin deficiency. Vitamin deficiencies typically require higher dosages to address and resolve the issue quickly. Multivitamins usually contain lower dosages of many vitamins in contrast to a high dose of a single nutrient. Difficult to individualize - It can be more difficult to find the right multivitamin if you are looking for one that contains specific vitamins. For example only some multivitamins contain iron. If looking for a multivitamin that contains iron, your options could be much more limited. Although supplementing with an all-encompassing multivitamin is a good option, supplementing individual vitamins may be necessary for some people. Different conditions or needs may require individual supplementations. Better for deficiencies - Most people who have a vitamin deficiency are recommended an individual vitamin. This is the traditional and evidence-based method to resolve specific deficiencies. Common deficiencies that require vitamin supplementation include vitamin D, iron, vitamin B12, and magnesium. Simplicity - When taking just one supplement of an individual vitamin, you know exactly what you are getting and how much. This eliminates the complications of other vitamins. Address increased needs - On specific occasions, individuals may have increased needs for vitamins. An individual vitamin allows people to address that need without disrupting the balance of other nutrients. For example pregnant women require more folate, babies require vitamin D, and those lacking sun exposure also require vitamin D.
Expensive - One good quality vitamin can be expensive, so taking more than one can quickly add up. Good quality vitamins can run anywhere from $12.00 to $27.00 or more. Complicated - Individual vitamin supplements typically contain a higher concentration of the vitamin. Taking multiple individual vitamins of high concentrations can prompt unwanted complications or side effects. Over supplementation/toxicity - Some vitamins have upper limits. This means consuming more than the upper limit may result in toxicity, which can be extremely dangerous. Iron and fat soluble vitamins such as A, D, E, and K are the most common toxicities seen. If taking individual vitamin supplements, speak with a dietitian or doctor about toxicity. There are many factors to consider when comparing individual vitamin supplements and multivitamins. In most cases, healthy individuals receive enough vitamins and minerals from diet alone. If people wish to take a supplement, a multivitamin is the best option. Individual vitamins should only be for those that are deficient in specific nutrients and after a consultation with a doctor.